America's Test Kitchen, 9781940352428, 344pp. Eating paleo doesn’t have to be boring. 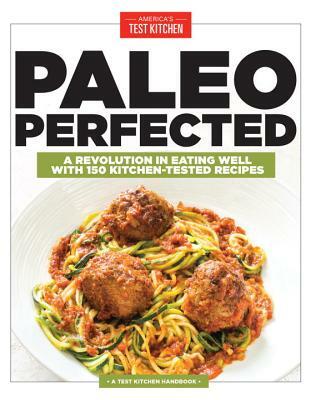 Whether you’re a strict paleo adherent or you just want to eat paleo from time to time, this collection of foolproof, practical, and innovative recipes is an invaluable resource. We’ve tackled the challenges of cooking paleo-friendly meals that taste great so that your time in the kitchen is guaranteed to be well spent. Packed with test kitchen expertise, this book not only contains 150 foolproof recipes but will also teach you how to bake with nut flours, how to make a pan sauce without butter or wine, and how to make paleo-friendly pantry staples like crackers, coconut yogurt, and even barbecue sauce. With recipes that taste this good, you won’t even miss the sugar, dairy, or grains.